Mr Ranganathan and his team at the Royal London Hospital were outstanding in every way when they performed highly complicated lower back surgery on me 5 weeks ago. I had been suffering from chronic referred pain down the left leg and was barely able to walk or stand for 6 months before the surgery, but was also terrified of surgery as i knew how risky it can be. After several unsatisfactory consultations with other specialists, i researched in depth and desperation for the best possible surgeon and expert in this field and Mr Ranganathan was highly recommended to me. From the moment i met him and he diagnosed my problem and treatment, i felt safe, secure and at complete ease with him. Following the surgery, i was out of pain immediately, but the extreme care and precautions that Arun and his team took to ensure the best possible recovery and healing process, were second to none. I am a medical student from Pakistan, currently in my 2nd year. I found out that I have scoliosis 7 months ago when I was going to have my septoplasty. The chest x rays showed an unusual curve in my spine. Being a medical student I knew right away what I was seeing. This curve was an S curve and it was a big one. I started going to a lot of doctors but I wasn’t really satisfied. My uncle who lives in the uk got me in touch with Mr Ranganathan. My case was discussed and as I was told by every other doctor in my own country, Mr Ranganathan agreed that I needed surgery for the correction of my curve. I remember having my first call with Mr Ranganathan, I was at once at ease. It was as if I knew I was in safe hands. I know how busy doctors are and being a spinal surgeon you barely have any time. Mr Ranganathan was very polite and he discussed all the minor details and everything. Being so far away physically I was not at all stressed. I was in touch with Mr Ranganathan on a daily basis through whatsapp. He personally told me everything I was supposed to do and things I had to avoid before the operation. I came to London in January and my operation took place on 20th January at the Princess Grace hospital. It was a 6 hour long procedure. I was in the ICTU for a day then I was shifted to the ward where I stayed for 6 days. I was discharged on 27th January. The operation was a complete success. I was walking,sitting,talking,eating on my own,going to the bathroom. My wound was a very fine thin scar, I’m on my road to recovery. I’m thank ful to Mr Ranganathan who took care of everything and was always there. Being a medical student I know how hard it is for surgeons to always be available but the amount of care and time I got from Mr Ranganathan and his whole team was incredible. I would highly recommend Mr Arun Ranganathan not only because he is one of the best surgeons out there in the uk,but also because he is one of the most humble and down to earth human being you will ever meet. Everyone who knows Arun will say he is a brilliant surgeon but more than that he is a compassionate and kind human being and this makes a world of a difference when you are a patient under his care. He comes across as a man of a few words but make no mistake, he is watching listening and absorbing as much as he can during the doctor / patient interaction process and then overlaying that information with the vast knowledge and experience stores within his brain to make an informed decision that would work best for the patient. Patient handling is a skill and even more so if you are a patient like me who likes to ask detailed questions about everything and I can definitely say Arun was most patient with me and responded to me around every question I kept throwing at him! I had severe canal stenosis at the L4/5 level accompanied with a grade 1 unstable spondylolistheis. I was seeing Arun under private care during 2016 but due to a change in insurance companies by my employer I was left without access to continued treatment during the early part of 2017. Arun suggested I get referred to him on the NHS and once I had this done via my GP he spared no effort in getting me swift and timely care including carrying out an open back TLIF and decompression on the 5th of June 2017. It was a major surgery and recovery was painful and difficult, but Arun was with me every step of the way, even going out of his way to respond to text messages to reassure me that everything was going alright. In addition to his surgical brilliance he has an excellent attitude of caring and compassion that one does not see too often in todays resource constrained and busy times (particularly within the NHS) where patients are wheeled in and wheeled out of operating theatres like cars on an assembly line. Preceding a recent diagnosis for severe dysplastic spondylolisthesis (by another spinal surgeon), I first consulted Dr. Ranganathan, for a second opinion regarding treatment/management options. At the time of the first consultation (summer 2016) I had already been suffering for over 8 years from this condition, that I felt exacerbate over the past year. 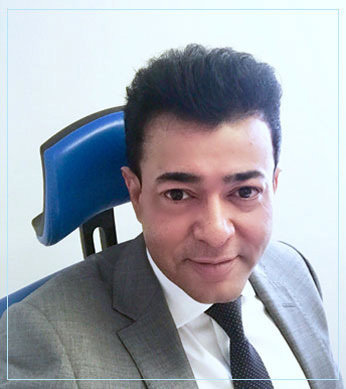 Initially Dr.Ranganathan was reluctant to immediately result to surgical intervention (which is understandably concomitant with such high risk, invasive procedures), therefore advised I follow a course of conservative methods (epidural steroid injections, physiotherapy and medication) to manage the neuropathic pain. Whilst I was initially unconvinced that they would provide substantial relief, I underwent conservative management and now understand that they are tremendously useful in the long run, most notably in post operative management (building a strong core etc.). I underwent a/p l4-s1 fusion with partial reduction surgery on 12/06 and am now approaching the 3 month mark. The few days prior to surgery I found myself reconsidering the decision, as it was elucidated and explained that due to my age (19 at the time) and severity of the condition, performing a full reduction of the deformity would harbour great risk. I can say that currently, there has been considerable improvement compared to my post operative status and therefore am (for the most part) satisfied with my decision to undergo this surgery. Dr. Ranganathan is a very kind and caring doctor, who despite having to deal with complex conditions and difficult patients (me! ), gives the patient's desires immense consideration (even if they appear to be almost unattainable) and strives to achieve as close to their desires as is medically possible (whilst maintaining the lowest risk of morbidity), thereby offering the best individual treatment, along with his team. It is clear that Dr. Ranganathan greatly values and understands patient's input into treatment options and considers the patient's opinions even if they differ from his. As for the course of treatment, Dr. Ranganathan uses a very holistic approach and took into account my educational commitments, to ensure that the treatment options (e.g surgery dates, recovery periods etc) were all logistically viable and suited around my time, meaning minimal disturbance would be caused to my day to day life. From the moment I met Mr Ranganathan I felt at ease as an adult.He gave me the confidence to put my Fourteen year old daughter in his care.She was due to have major back surgery,everything was explained clearly to us, from beginning to end. As an parent you constantly worry about your children especially when it's something like this, but she was in safe hands. Mr Ranganathan and his team of experts did a great job in correcting my daughters spine, which in turn has boosted her confidence. Your and your team are doing a fantastic job, keep it up. May I also add that she was also looked after very well when she went up to the children's ward. Can't thank the staff enough. Mr Ranganathan is an absolutely fantastic orthopaedic surgeon and I would have no hesitation in recommending him. In 2013, I was under his care for i) carpal tunnel op to my right hand and then ii) cervical disc replacement surgery to C5/C6. I now have ceramic discs in my neck. Currently (Sept/Oct 2016), I am under his care again for a fractured spine to T12 (after falling downstairs). He is very thorough, an absolute gentleman and so kind and thoughtful as well as being a brilliant surgeon. I was so lucky to have found him. (He was recommended to me by my Axa private medical insurance). I strongly recommend Mr R , and cannot thank him and his team enough , for all the ongoing support /pain management procedures... But most of all , his kindness and understanding of my situation ..